The key to shooting the Texas Star is a combination of speed, accuracy, and the correct order. 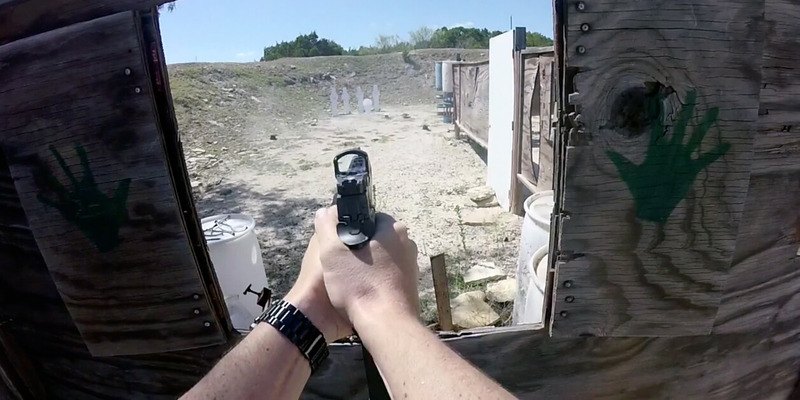 The Texas Star is a fun type of target common in pistol shooting competitions. When shot correctly, it’s quite easy to blitz through in just a few seconds. But shooting the Texas Star in the wrong order can cause serious problems and burn a lot of ammo. A Texas Star is made up of five individual steel plates put out on five arms connected to a center hub that spins. 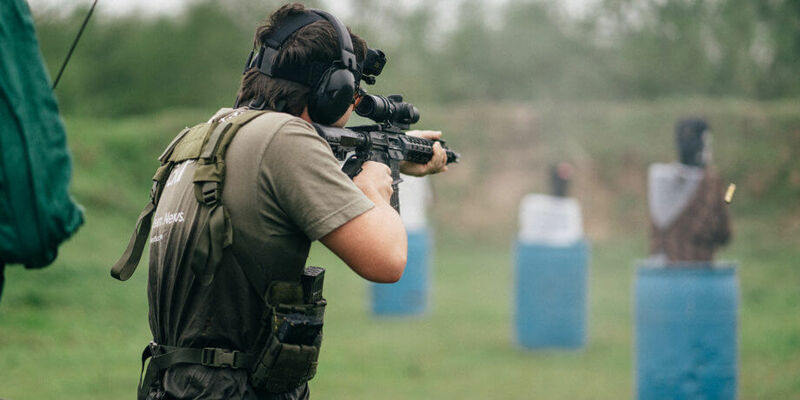 The shooter usually engages the Texas Star with a pistol, but shotguns are not uncommon and occasionally rifles are used at longer distances. When the steel plates are hit, they fall to the ground and cause the entire Texas Star to become off balance, causing it to spin. Usually, the Texas Star is engaged when it isn’t spinning at the start, but sometimes for a greater challenge, the Texas Star will be engaged while it is already spinning. 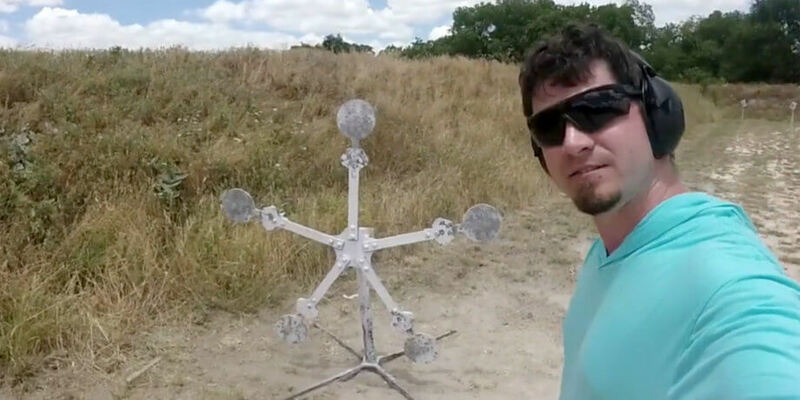 Let’s take a quick look at how not to shoot a Texas Star, and then how to shoot the Texas Star in a reliable way. There are heated debates on how best to shoot the Texas Star, but there are some definitive wrong ways to shoot a Texas Star. Remember gravity when shooting a Texas Star. As soon as the first plate on the side of the star is knocked off, the entire Texas Star starts to swing. The more uneven the Texas Star is, the more it spins, making the plates harder to knock off. 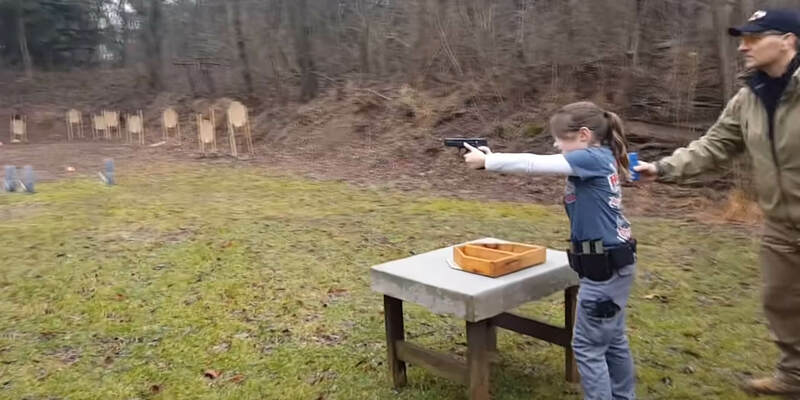 The “reliable” method for shooting a Texas Star is to hit the top plate first, move to the right or left, hit that target, then move down and just shoot the plates as they come to you. So it would be top, right, right, right, right or top, left, left, left, left. Essentially you shoot a plate and let gravity bring the plates to you and you shoot them while they’re at the apex of their swing. I recommend this method for most shooters as it features minimal risk. The next method can be faster, but only very marginally. 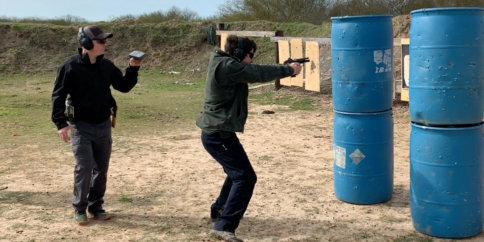 After ROing a stage with a Texas for two days and watching so many shooters attempting the next method and it going quite wrong, this method of letting the targets come to you is definitely what I recommend for most shooters. The other method of shooting a Texas Star is top, upper right, upper left, bottom left, bottom right. This is a little more advanced technique is only recommended for more experienced shooters who can practice on Texas Stars. Missing shots with this method can result in increased spinning and slower times. It’s very easy for this method to end up taking longer than the previously mentioned method, particularly for shooters who don’t practice with Texas Stars a lot.